“In a time before many can remember,” intones the opening cavernous voiceover, a big bunch of nastiness happened. Hang on - that “time” was thousands of years ago, so who exactly can remember? Can we meet them? 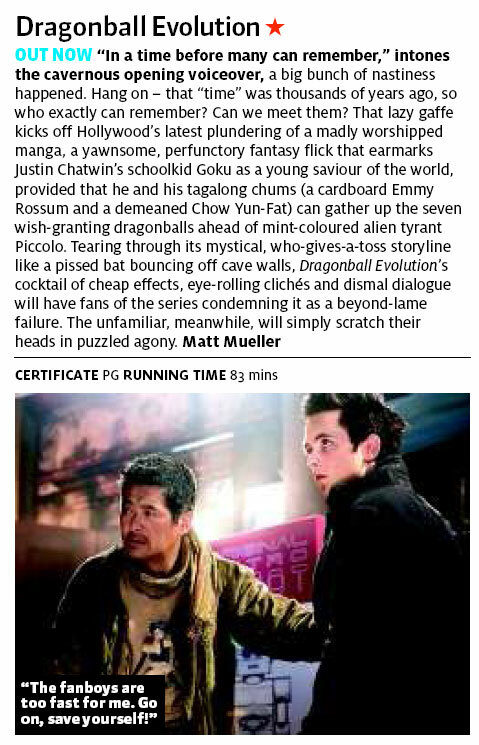 That lazy gaffe kicks off Hollywood’s latest plundering of a madly worshipped manga, a yawnsome, perfunctory fantasy flick that earmarks Justin Chatwin’s schoolkid Goku as the saviour of the world, provided he and his tagalong chums (a cardboard Emmy Rossum and a demeaned Chow Yun-Fat) can gather up the seven wish-granting dragonballs ahead of mint-coloured alien tyrant Piccolo. 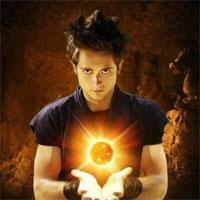 Tearing through its mystical, who-gives-a-toss storyline like a pissed bat bouncing off cave walls, Dragonball’s cocktail of cheap effects, eye-rolling cliches and dismal direlogue will have fans of the series condemning it as a beyond-lame failure. The unfamiliar, meanwhile, will simply scratch their heads in puzzled agony.